This versatile training tee is a garment every Black Caps supporter will want. 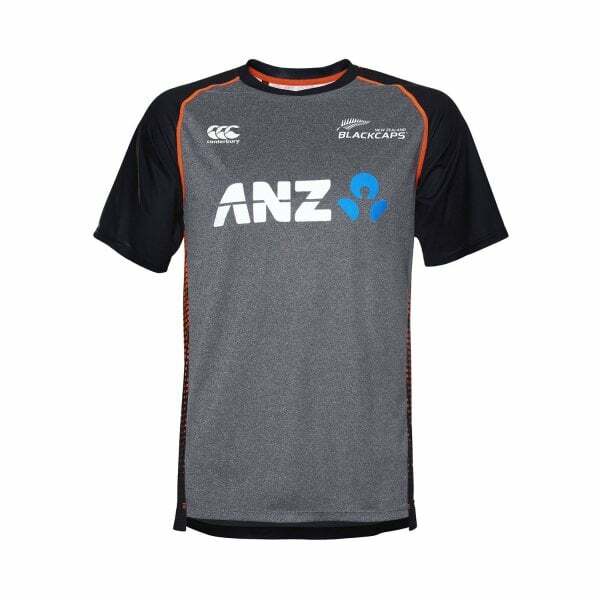 It features a super lightweight construction and superior sweat-wicking properties and it’s branded with the authentic NZ Black Caps insignia to show you’re a dedicated fan of the game. Our VapoDri Training Tee is the lightest tee in our range, thanks to its Polyester Pique and Polyester Superlight Pointelle Mesh construction. Along with being super light and comfortable, this tee is super dry as well, employing Canterbury’s VapoDri moisture-wicking fabric technology to wick sweat away from the skin while you train. Designed for optimum training performance and featuring the authentic NZ Black Caps insignia, our VapoDri Training Tee is one you’ll find yourself wearing all the time both on and off the field. So secure yours now from our exclusive 2019 Black Caps training range at Canterbury.